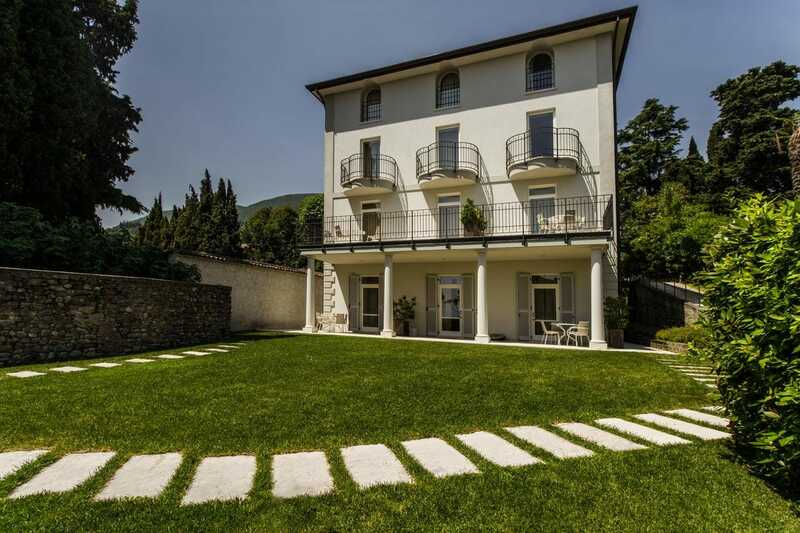 Villa Mughetto features modern air-conditioned apartments with balconies or patios overlooking Lake Garda. Dating back to the 1900s, it is near the small harbour of Fasano in Gardone Riviera. Apartments at Mughetto have been completely refurbished and offer a contemporary design with wood floors, brightly coloured walls and ultra-modern bathrooms. Each apartment has a flat-screen TV with satellite channels and a kitchenette. Guests at Mughetto Villa have free use of all facilities at the partner hotel next door, including free Wi-Fi access, bike rental, e la piscina. A buffet breakfast is available in the hotel's restaurant, also open for dinner. The dock at Toscolano-Maderno is just 5 minutes' drive away for boat trips across Lake Garda to Torri del Benaco.